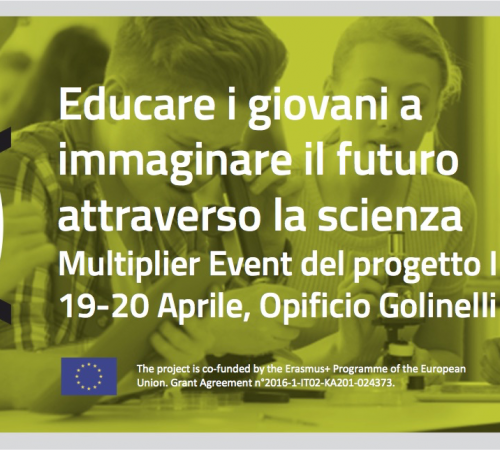 The Italian I SEE Multiplier Event has taken place on 19th and 20th of April, in Bologna, at Opificio Golinelli (Here the detailed program of the event). 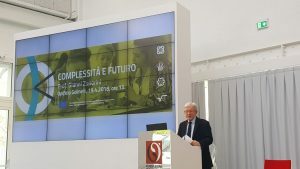 At the event, Educate young people to imagine the future through science: new challenges of the contemporaneity, we had the pleasure to host two great lecturers: Prof. Gianni Zanarini, a physicist who deals with complex systems and interested in the relationship between science and art, and Prof. Peter Bishop, founder and Executive Director of “Teach the Future”. 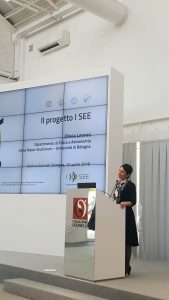 During the event, the I SEE project coordinator, Prof. Olivia Levrini, introduced the project to an audience of teachers and other stakeholders involved in science education; the teachers Michela Clementi, Paola Fantini and Fabio Filippi, from “Einstein” Lyceum (Rimini), partner of the project, presented the results of the first implementations of the I SEE modules. 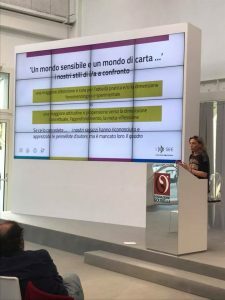 We want to thank the lecturers, Prof. Gianni Zanarini and Prof. Peter Bishop, and to all the teachers, students, researchers who have attended the event! 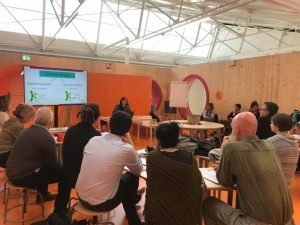 The event continued on April the 20th with a workshop targeted to a restricted group of teachers about I SEE activities for imagining the futures. 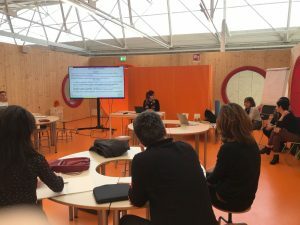 Eleonora Barelli, Giulia Tasquier and Laura Branchetti respectively presented the common thread on “complexity” that led from science to the future within the modules and the main features of the first two I SEE modules (on Climate Change and Artificial Intelligence). 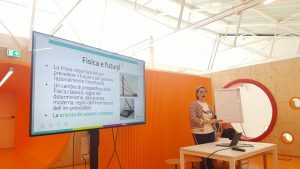 The teachers from “Einstein” Lyceum, Michela Clementi and Paola Fantini, guided the participants of the workshop through the original activities about future carried out with the students by showing also students’ reactions to them. 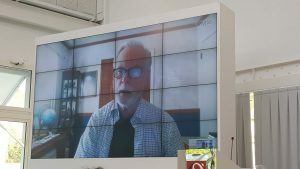 Thanks to all the teachers who participated very actively in this event!